U3A North Gold Coast Class Information - U3A North Gold Coast Inc.
For class information, please scroll down below, which will take you to our current class program and descriptions; the dates they occur and the venue. Before you can participate in a course or activity at U3A North Gold Coast you must be a financial member. Three classes are available in term 2 to be purchased online ONLY. It is on the basis of first in first served. Click here to Nominate for your Classes Online or Submit Curriculum Enquiry. Please click on links to go to different categories. This workshop allows students to create works in their selected medium at their own pace. Artists are encouraged to share their expertise with their fellow artists. Limited tuition. ​CLASS IS FULL. New applications will be added to our wait list. In this workshop members explore techniques and individual projects in an informal atmosphere. Limited tuition. CLASS IS CLOSED. New applications cannot be accepted. This class covers the basics for using watercolour paint, for mixing colour and applying it to watercolour paper. Various techniques will be shown leading to the painting of a picture. Requirements: Suggested materials for this class include good quality paint, paper and a brush e.g. William & Cotman. Colours, Archers 300gsm medium paper in an A4 pad and a size 8 or 12 (big) and 1 or 2 (small) sable brushes. This workshop is for students already able to paint with acrylics. No tuition given. This group is for students who enjoy different types of craft work and wish to get together with other like-minded people. Come along with your craft, there will be someone there to help you if required and perhaps you can also pass onto others how to do a particular craft. This class is to give Watercolour enthusiasts a chance to come together and to learn from each other by the sharing of ideas and experiences in this beautiful medium. No tuition given. This class is for students of Intermediate French and places an emphasis on vocabulary, comprehension and conversation. Requirement - $ 5 contribution from each student for necessary printing at the beginning of the year only, or when first joining the class. Prerequisite - A basic knowledge of French grammar. Introduction to French language and pronunciation. ​CLASS IS CLOSED. New applications cannot be accepted. A basic knowledge of Spanish is required before joining this class.The class is designed for those with very little exposure to the Spanish language. You will develop basic listening, reading, speaking and writing skills to enable you to communicate in a variety of topics at a basic level. CLASS IS FULL. New applications will be added to our wait list. French for Beginners - Year 2 - Continuing practice in French for those who have completed a class for beginners or have a basic knowledge of the language. Further instruction in grammar, reading and writing. Students must have some knowledge of Italian Grammar. All too often poetry becomes associated with boring English lessons and intense, competitive writing workshops. This course, however, will explore the pleasure of poetry through a combination of short talks, readings, discussions and writing that will encourage participants to not only learn about poetry and poets, but discover the varied pleasures that writing poems can provide. This class is an open discussion of a pre-arranged subject of current interest to the community. Subjects range from international affairs to the cost of petrol, the state of Australia's involvement in the global economy and the debate on the storage of nuclear waste. Members are invited to participate by presenting or by leading a discussion, or just doing some research so that they can voice an opinion. This class is for Intermediate Spanish learners who want to further and enhance their existing Spanish skills. A blend of learning methods are employed in this class which utilises online Spanish language programs and tutor facilitated Spanish conversations. Prerequisite - Students must have studied Spanish previously. 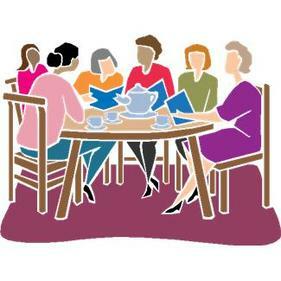 This activity takes the format of a round table discussion on a new author each month. Details of the novel is advertised in our monthly newsletter. Members contribute their comments and research and generally share their enjoyment of reading or just enjoying the stories. This course is Intermediate level Italian. You should already have a basic knowledge of Italian grammar. Requirements​ - The book that will be used, is available at the first lesson from the Tutor for $40. This will be the 7th year of this course. Again we return to the past in order to understand and illuminate the present. We do this through a combination of BIG history, biography and philosophy, this time for a period of at least 25,000 years. We will talk about Maharajahs, Mughals and Monarchs, their belief systems, conquests and wars, as well as their Literature, Art and Architecture.Please note that this is a year-long course, with a Syllabus set at the start of the year, but as per usual, plenty of opportunity for class members to give presentations. Henri de Toulouse-Lautrec [1864-1901] - French c19th Theatrical Painter. Toulouse-Lautrec was a French painter and caricaturist, whose immersion in the colourful and theatrical life of Paris in the late 19th century allowed him to produce a collection of enticing, elegant, and provocative images of the modern, sometimes decadent, affairs of those times. He is among the best-known painters of the Post-Impressionist period, with Paul Cézanne, Vincent van Gogh, and Paul Gauguin. Toulouse-Lautrec was mocked for his short stature and physical appearance, which led him to drown his sorrows in alcohol, eventually dying at the age of 36 from complications due to alcoholism and syphilis. Five weeks Crete seminars. Come join us for an enjoyable and interesting educational experience. In these sessions members will be encouraged to participate as much as possible. Present topics of particular interest to them or share any family experiences you may have. Session 1: Course Introduction. I will lead each session but will ask for volunteers to deliver some topics of which they might have a particular interest. Why was Crete strategically important? Session 3: The British and Cretan response. Role of the Navy. Across Australia there are millions of prehistoric paintings, engravings and archaeological sites that are a testament to one of the oldest living cultures in the world, that of the indigenous peoples of Australia. Using ‘First Footprints’ DVD material, this class examines the story of at least 50000 years of Australian history. Each class will involve our discussion/response to the DVD material, and, over the semester, each participant taking a turn to prepare and present on a topic (of around 10 min) related to the content of the class. Is there a difference between reincarnation and rebirth? Why are Hindus cremated within 24 hours of their death? How do you dig a grave for a Muslim burial? Why are remains not important in Buddhist traditions? Why did the Nabateans create magnificent tombs? What is Bardo and what does it mean to the traditions in the Himalayas? Why did the Egyptians mummify their dead? These are just some of the many questions that we will discuss, and I will attempt to provide some sort of answers to, during these talks. ​Possibly the most well-known date in English History, the Battle of Hastings in 1066 changed England. A thousand years later partisans of both sides are still quarrelling over the details. In two hours, learn about the lead up to the invasion; a story of powerful families, weak Kings and predatory foreigners, and the two decades after 1066 it took the Normans to complete their conquest and confirm their rule in the pages of the Domesday book. The Eden Project, located in Cornwall is a reclaimed china clay pit. It has since been developed into a series of natural garden rooms, some out in the open, such as the botanic garden and others dominated by two huge domes like enclosures; each enclosure emulating a natural biome housing thousands of plant species from the Rainforest and Mediterranean region. The unique gardens were the brainchild of Tim Smit, the same man who created The Lost Gardens of Heligan. We’ll walk through the internationally acclaimed Eden Project gardens and experience a sense of life under the biomes. 2019 - MY KIND OF MUSIC is one of the longest running classes in our U3A. It was, and still is, intended as a class where people who like music, can come, listen and play “their” kind music. Interaction of all is encouraged, but not mandatory. Listening is just as important as presenting, which some members prefer. We offer the opportunity to members to showcase their individual music preferences for the enjoyment of all in short presentations. It makes for variety and we respect each other’s choices. We cater for ALL Music lovers with ALL kinds of music. Classical, blues, jazz, country, swing, gospel sacred, etc to “modern”, via composers, singers and instrumentalists by choosing a theme or genre each term. Research can be fascinating – your favourite Musical personality may have a surprising history! Gold Coast Libraries have a large musical category if your choice is not in your own collection. Mahjong is a Chinese tile game played with western variations. The choir meets for a weekly rehearsal at Paradise Point Community Hall "under the baton" of an experienced choirmaster to prepare work for sheer enjoyment and for sharing with others. Our choir entertains at various functions throughout the year. The choir enjoys singing a wide range of popular songs at U3A functions and has regular visits to retirement villages and other community venues. Please note, when joining our Choir, there is a charge of $ 12 for the song book. This is a popular game in France with some variations in Italy and growing in popularity in Australia. All equipment is supplied and members are given instruction on the rules and techniques of play. The exercise is gentle and fun and is followed by a sociable drink and something to eat. Requirements - Suitable footwear should be worn. Join with others and experience the fun of playing table tennis. All equipment is supplied. Requirements - Suitable footwear must be worn. Travellers' Insights is an armchair opportunity to travel the world (and occasionally while still well grounded we have been known to leave our planet for adventures into the deeper universe). The class delivers a platform for short presentations and discourse on topics which might range from particular cities and other noted features of interest to individual countries or wider regions. We like to indulge in everything from the fun bits to the serious face of town – and even the quirky, yet avoiding the fine detail and boring elements. Whilst no-one is compelled to contribute, personal experiences are welcome and we do draw on outside sources to widen the breadth and interest of our program. Intensely passionate drama set to some of opera’s most sweeping, soulful, and heart stoppingly beautiful music – that is Eugene Onegin. Tatiana is a lovesick country girl, and Onegin is the sophisticated young man who callously spurns her love before realizing, too late, what a mistake he’s made. Here is Pushkin’s profoundly human, hopelessly romantic, ultimately devastating story, elevated by Tchaikovsky’s richly layered and unabashedly expressive music. Find out why Eugene Onegin is beloved by opera audiences the world over. This lavish production captures the flavour of 18thcentury Russia, and features today’s reigning Diva, Anna Netrebko. Alternate weekly meetings, in the classroom and field excursions. Learn the basics of bird watching and bird photography. Plan and discuss the field excursions. Requirements: Binoculars, camera with telephoto or zoom lens if photographing birds, good walking shoes, hat, sunscreen, insect repellent, water bottle, notepad and pencil. This a valuable 4-week course for those that are ready to progress to the next stage of delving further into the workings of their iPad. We will fine tune emails; edit photos; create albums; take your music to a new level; have fun with Siri and a whole lot more. Prerequisite: Your Apple ID and password. Do not be put off by the advanced in the class title, it only means beyond basic and requires that you are actively using Windows 10 in your day to day computing. We all have difficulties and problems when using our computers such as –How to do some particular task? Where to find a feature? What does this error message mean? Etc. This class aims to help with the feelings of frustration that you have when this occurs. Of course this situation is not helped by Microsoft bringing out regular updates to Windows 10 twice a year and keeping up with those changes provides another source of frustration. So, bring along your computer issues and we will find a solution to them in a collaborative manner. Please note this is not a teaching class, it is a workshop where your questions will be answered.Windows 10 Computers available to use in the U3A Classroom. This class builds upon basics and focuses in more detail on enhancing the Mac computing experience exploring the Mac system, applications, features, resources, questions and more in a tutor lead, group sharing setting. Instruction is based on current operating system. Current operating system preferred but not mandatory. You should have an Apple ID and Password associated with this ID. Apple Mac laptops and computers are available for member's use in the U3A Classroom. If you're ready to take the plunge into storing your files, photos and more in the cloud but need help using one. This class could be for you. We will briefly explain the four popular cloud storage available today: OneDrive, iCloud, Google Drive and Dropbox. Want to know about the NBN? When will it arrive at your home, what options do you have? What about mobile phones and mobile broadband, do I need these too? Also let’s not forget the good old home phone, what are my options here? Come along for a three-hour session to understand your options and the opportunity to ask questions and even check when NBN will be available at your home. With a myGov account you can link any of your online accounts, including Centrelink, Medicare and My Health Record with one username and password. This class will show you how to do all this and then actually create your myGov or link your accounts if you wish on any of the U3A computers or your own computer. • This class is aimed at the beginners (not absolute beginners) and intermediates. • You must know how to use a mouse and control the mouse. • MUST have your OWN UNIQUE email address, you cannot share an email address with someone else. Stream films anytime, anywhere on your preferred devices. Movies, documentaries, educational, instructional films and more. Like other streaming platforms, Kanopy offers 30,000 movies and TV shows at your fingertips. Unlike most other streaming platforms, Kanopy offers a remarkable selection of classics, world cinema and documentaries, including films from the much-loved Criterion Collection. In short, Kanopy is the streaming platform for cinephiles, for the curious and the adventurous and for anyone who wants a break from the multiplex. Best of all, Kanopy is free. PREREQUISITES: Current Gold Coast City Library member. You must know your library card ID and PIN. If you bring a tablet; whether an Apple iPad or Android you must know your User ID and password to download Kanopy app. T​Using your own Android phone or Android Tablet. Bring your Chromecast if you have one. What is Google Chromecast and why should you care? Google Chromecast is a device you can use to send things from your small screen phone to your big screen TV. It's easy to figure out, set up, and use. With it you can send a YouTube video on your phone to a TV, or you can send a website on your computer to your TV. And that's just two of the possibilities. To help you learn what Google Chromecast is, how it works, and what you can do with it, we will explain everything you need to know about the affordable HDMI dongle in this 3-hour class. PREREQUISITES: This class is aimed at the beginners and you must know how to download apps from the play store onto your android phone or android tablet and be familiar with your device. Turn your TV into a live Photo album with Apple TV. How to display your photos on the Apple TV as Screensavers for your home TV. Have you ever wondered what the difference is between the Windows 10 computer and the Apple Mac computer? Are you in the market to buy a computer? This class could help you decide. Do you use both types of computers but not sure what the difference are? Or do you just want to learn to use one or the other? PREREQUISITES: This class is aimed at the beginners (not absolute beginners) and intermediates. You must know how to use a mouse and control the mouse. PREREQUISITES: Should have experience in using your computer and be familiar with your keyboard and mouse. Must have Excel installed – minimum version 2007. Come learn the basics of your Apple TV and bring it along to practice, as this is a hands-on class. We will go through the basic settings, show how to download the popular applications, mirror to your Apple TV from your iPad, iPhone Apple laptop and much more. PREREQUISITES: Bring along your own Apple TV if you wish . You must know your Apple Id and password. Bring your Apple iPhone. How to keep all your store cards in a digital app and learn how to use Apple Pay. Have you ever wondered what Apple Pay is all about? If you have an Apple iPhone 6 or later, come to this class to learn all about Apple Pay. As a bonus we will show you a useful app to scan all your store cards, so you could do away with carrying the physical cards. We will inform you what the trend will be in the next 24 months. We could do away with our physical cards; store cards, library cards, credit and debit cards, driver’s licence and one day soon our Passports. Today many Australian banks and credit unions offer accounts connected to Apple Pay. PREREQUISITES: You have an Apple iPhone 6 or later. ​Many of you might be going through password hell trying to manage all of the passwords for yourself in this digital age. It is not possible to rely on your memory to recall all your passwords. You need to record them somewhere securely, using something simple and have them accessible at all times. Using Apple’s Notes and iCloud storage, you can confidently lookup your passwords, on your Apple device, anytime, anywhere. In this class, we will show you how to store and track all your passwords. We will give you some tips and suggestions on how you can organise your passwords within notes so you can find them easily later. This is NOT a security class on how to create secure passwords, however we will touch on some tips of dos and don’ts. You need patience and time to organise your passwords electronically, securely, have them accessible anywhere, once and for all. We will show you how. PREREQUISITES: You must have an Apple ID and know the password to your Apple ID. .You must be comfortable with using cloud storage. Please bring your iPhone and iPad to class if you have them. Your Apple device must be running iOS9.3 or later. ​Sometimes called world dance, or dance meditation, circle dancing is made up of mostly very easy dances choreographed to musical sources from all around the world. The formation of dancers in this class can be in a circle, or occasionally a line or a spiral pattern. The steps to the dances are taught at the beginning of each dance, you do not need a partner. The pace of the dances ranges from slow and meditative to sometimes a little upbeat. Dancing in this way exercises our bodies, stimulates our brains and connects us with others. Comfortable clothes and firm fitting shoes should be worn. Be revitalised and transformed in this class. The tutor has over 20 years’ experience in multiple styles and will lead beginners through to advanced level. Alignment based. Requirements - Please bring yoga mat and props if you have them. Be revitalised and transformed in this class. The tutor has over 20 years’ experience in multiple styles and will lead beginners through to advanced level. Alignment based. Please bring yoga mat and props if you have them. Become a happier, more confident person through the practice of this traditional Chinese martial art. Enhance your inner health and relieve stress and help mobility of body and mind through gentle exercise, as you use every muscle and organ in the body. Conflict resolution and Meditation. In these sessions we will explore; Valuing Ourselves, Happiness, Communication skills, Self-confidence and more. Learn how to create the life you want. Members attend a wide range of activities including: theatre, ballet, movies, visits to museums, art galleries and historic places. For booking details, cost and contact arrangements - refer to our newsletter or website in the Classes & Events Calendar . There will be no excursions until May 2019. 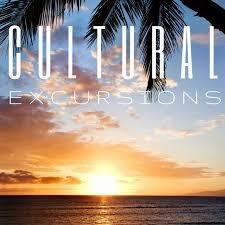 ​There is no need to enrol for Cultural Excursions. Please contact Jan & Ron direct. A series of lectures held at the Gold Coast Griffith University Campus. Subject and lecture vary. Afternoon tea is provided prior to the lecture. ​Please click on links to go to different categories or back to top of page.